From 1959-1960 the Gabon flag had two horizontal stripes of green and blue with a narrow stripe of yellow in between. The present-day Gabon flag came into being in 1960. It has three equal horizontal stripes of green, yellow and blue. The color green symbolizes the forest, the equator is represented by yellow and blue symbolizes the sea. 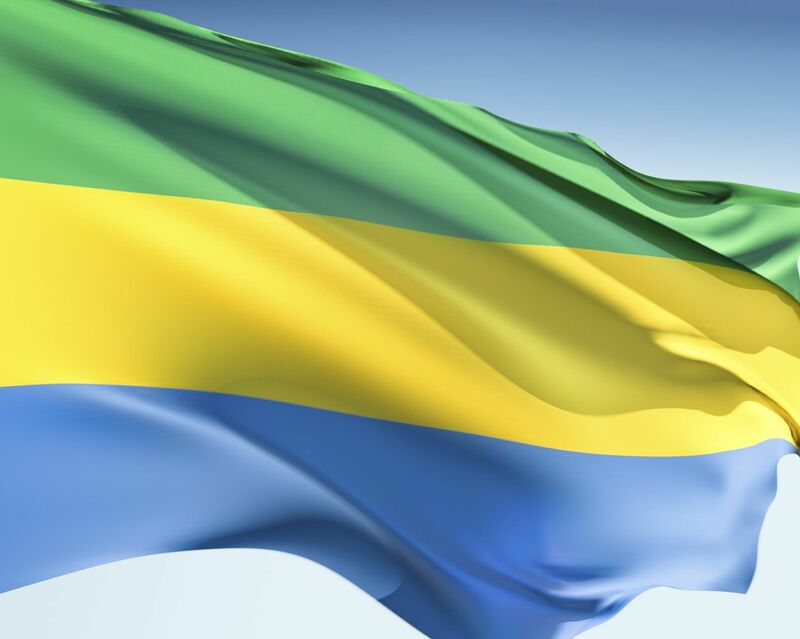 Our top-quality Gabon flags conform to all official specifications. Emblems and designs are executed with the highest possible degree of accuracy in regard to detail, color shades, placement and proportion to flag size.